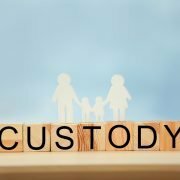 Child Custody Archives | Florida Law Advisers, P.A. How Will Florida Law Determine the Child Custody for my Child in a Divorce or Paternity Case? One of the most difficult aspects of a divorce or child custody case is the development of a Parenting Plan. The Plan governs the time-sharing and custody rights for each parent. Florida law is gender neutral, meaning there is no preference for or against the father or mother, or for or against any specific time-sharing schedule in a child custody case. Thus, if you need assistance with a child custody case you should contact a child custody law firm in Tampa for counsel. Many law firms in Tampa will offer a free consultation for these types of matters. Whether both parents have demonstrated an ability and willingness to facilitate and encourage a close and continuing parent-child relationship, to honor a time-sharing schedule, and to be reasonable when changes are required. The length of time the child has lived in a stable and satisfactory home environment, and whether it is the child’s best interest to remain in that environment. The moral fitness of the parents. When considering a parent’s moral fitness, the court will focus on whether the parent’s conduct has had or is reasonably likely to have a direct adverse impact on the child. The mere possibility of an adverse impact is not enough., see child custody case McKinnon v. Staats. The reasonable preference of the child, if the court believes the child is reasonably able to express a preference. A child’s preference, however, cannot be the sole factor for the court to determine a parenting plan. See Florida child custody case, Garvey v. Garvey. Evidence of domestic violence, sexual violence, child abuse, child abandonment, or child neglect. The particular parenting tasks and division of parental responsibilities customarily performed by each parent before and during the court case, including the extent to which persons other than the parents have exercised parental responsibilities. Whether both parents have demonstrated an ability and willingness to participate and be involved in the child’s school and extracurricular activities. Any other factor that is relevant to the case and best interests of the child. Your Tampa family law attorney should discuss each of these factors with you in detail so that he or she can present the court with evidence regarding those factors that may apply to your case. If you would like more information, please contact us to schedule a consultation with a child custody lawyer in Tampa. The Tampa child custody attorneys at Florida Law Advisers, P.A. know what judges consider when determining the best interest of the child and use their knowledge of the law and litigation skills to aggressively represent our clients. To speak with a family law attorney call 800 990 7763, we are available 24/7. https://www.floridalegaladvice.com/wp-content/uploads/2018/12/shutterstock_547650652.jpg 3840 5760 Florida Law Advisers https://www.floridalegaladvice.com/wp-content/uploads/2017/05/logo2.png Florida Law Advisers2018-12-27 16:32:352019-03-23 13:28:01How Will Florida Law Determine the Child Custody for my Child in a Divorce or Paternity Case? After a parenting plan has been issued in Florida, steps must be taken before relocating with the child. Under Florida child custody law, a relocation is seeking to relocate at least 50 miles away from their current residence. See Florida child custody law 61.13001. The easiest way how to win a child relocation case in Florida is to obtain consent from the other parent. If both parents agree to the relocation it will make the process a lot easier. If the parents are not in agreement the court will need to intervene to decide the relocation. In cases such as these, it is crucial to have a child custody attorney at your side to help win a child relocation case in Florida. If you are contemplating relocating or need to prevent a relocation contact a child custody attorney for assistance. In petitions for relocation, the judge will focus on if the relocation is in the child’s best interests. If both parents agree to the relocation the judge will very likely grant the request. 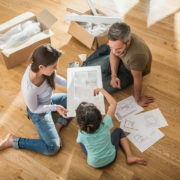 If there is no agreement on the relocation, the judge will apply Florida child custody law to determine if the relocation should be granted over the non-relocating parent’s objections. The petition for relocation must include a description of the location of the intended new residence with the mailing address, the home telephone number of the intended new residence, the date of the intended move, the reasons for the intended move, and the post-relocation schedule for time-sharing (Parenting Plan). The petition must then be served on every other person entitled to access to and time-sharing with the child. The judge must decide the outcome based on what the judge considers to be in the child’s best interests of the child. Under Florida child custody law, a Florida family law judge may consider the following: (a) the nature, quality, extent of involvement, and duration of the child’s relationship with the parent proposing the relocation and the other parent not relocating, (B) whether the relocation will enhance the general quality of life for the parent (C) both parent’s reasons for relocating or opposing the relocation, (D) the current employment and economic circumstances of each parent and if the relocation will improve the circumstances, (E) the relocation is sought in good faith, (F) if there is a history of substance abuse or domestic violence as defined in Florida Statute 741.28, (G) any other factor affecting the best interest of the child or as set forth in Florida Child Custody Law 61.13. In child custody cases, it is vital to understand how judge’s think and process these sorts of cases. A Florida family law judge will have a lot of discretion on how to apply the statutory factors. An experienced child custody attorney should be able to help present the facts of the case in a way that is most favorable to their client. If you are trying to figure out how to win a child relocation case in Florida contact a child custody law firm for legal counsel. It is highly recommended to not resort to “self-help” when trying to relocate with a child. Self-help refers to taking actions without the approval of the court. Moving outside of the fifty-mile radius without first obtaining court approval may be a violation of the parenting plan. Such a violation can result in changes to your rights and responsibilities as a parent. Similarly, if your ex relocates without telling you or obtaining court approval you should contact a child custody attorney. Family law judges do not want a parent to attempt remedy the situation on their own without seeking court intervention. Resorting to self-help can significantly impact your ability to win a child relocation case in Florida. If you are defending a relocation or need to relocate call us today to speak with a child custody attorney. At Florida Law Advisers, we take these matters very seriously and will stand firm for what is fair. We have years of experience in both advocating for and against relocation. To speak with a Tampa family law attorney at our firm call us today at 800 990 7763, we are available to answer your calls 24/7. (GALA guardian ad litem (GAL) can be a very helpful person in child custody cases. In some cases, a GAL is automatically appointed by the Court. In other child custody cases, there must be a request to appoint a GAL and approval from a judge. Guardian ad litems can be very helpful but are not appropriate for all child custody cases. Before asking a judge to appoint a GAL you should speak with a Tampa child custody attorney for advice about your specific case. The guardian ad litem will be required to visit all the children they are appointed to every 30 days. A visit is not required to be any specific length or at any specific place. The GAL must see the child’s placement each time they are taken to a new placement. If the GAL thinks that there are any safety concerns in any given placement then the proper authorities are notified. The goal of the parent’s case plan is generally reunification at the beginning of the process. The parents are given a time frame that they must complete their case plan by, usually a year. If there is too little progress with the case plan, the goal can be changed to adoption or permanent guardianship. This process takes time and the guardian ad litem must still conduct their monthly visits. Once a new placement has been found or the child has been re-unified with their parents the GAL conducts visits for about 6 months. The visits are to make sure the child is thriving and safe in home. A guardian ad litem goes through a training process that involves both online and classroom learning. The training program typically requires about 30 hours to complete. There is also an interview process to limit the candidates to those that are serious about helping children and that the program feels will not determinately effect the child that has been through some rough times already. The training prepares the GAL to maneuver through possible situations that they may find themselves having to deal with. More information about the training process and what the purpose of a GAL is can be found by clicking here. Each Court in Florida has different rules when it comes to the training and use of a guardian ad litem. For more information about a specific Court’s requirements contact a child custody lawyer in your area. If you need to start or are in the middle of a child custody case contact Florida Law Advisers to speak with a child custody attorney. At Florida Law Advisers, we take these matters very seriously and will stand firm for what is fair. Our professional legal team is dedicated and passionate about these matters. Our team of attorneys and will work tirelessly to help achieve the outcome you desire. To speak with a child custody lawyer in Tampa call us today at 800 990 7763, we are available to answer your calls 24/7. If you have received notice of a divorce, child custody, or child support case filed against you it is crucial to respond quickly and correctly. When a party does not respond to a petition, a default divorce can be entered. Normally, when served with a Florida divorce petition there is only 20 days to file a response. If a response is not timely filed, the petitioner (person filing the case) can request a default divorce be entered against the other party. Default divorce judgments can be helpful but are not right for every case. If you need legal advice you should contact a divorce attorney in Tampa for a consultation. If a default is entered the case can continue without participation by the defaulted party. Further, a default divorce judgment may be entered by the judge. Moreover, the Court can enter the default without even having a hearing on the matter. If the Court enters a default, the defendant/ respondent will not have an opportunity to contest the merits case or raise defenses. See Residential v. Rector. Moreover, if you are defaulted you may not even be entitled to notice of future court hearings or other activity. 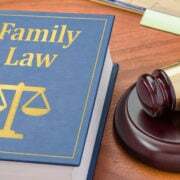 See Florida Family Law Rules of Procedure. Under Florida law, there are two types of default: clerk and judicial. Clerk default occurs when a party fails to respond in any form to the petition. The second category of default, judicial default, takes place when a party fails to plead or defend against the claims against them. A party can plead or defend claims against them at any time before a default is entered against them. Conversely, once the default is entered the defaulted party is deemed to have waived their defenses and is treated as having admitted all the allegations. See State Farm v. Horkheimer. A clerk’s default can be entered without even a hearing or notice to the other party. On the other hand, a judicial default generally requires a hearing and notice of the hearing to be sent to the nonresponding party. 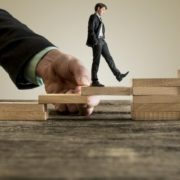 At the hearing for a judicial default divorce, the party will have an opportunity to try and persuade the judge to not enter the default divorce. The outcome of a family law case can have drastic consequences on your finances and family. If you have been notified of a case against contact an attorney as soon as possible. If an adequate response is not timely filed, you may lose your right to defend against the case. 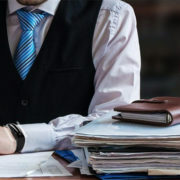 If you have been served with a lawsuit, such as a divorce petition or child custody case contact Florida Law Advisers to speak with a divorce attorney in Tampa. Each case is different, and our vast experience allows us to cater our services to each client’s individual situation. Our professional legal team is passionate about these matters and work tirelessly to represent our clients. To speak with an attorney call us today at 800 990 7763, we are available to answer your call 24/7.